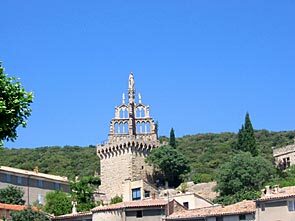 Nyons is the 'capital' of the Nyonsais-Baronnies region. 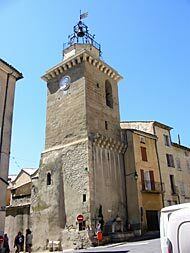 A medieval town lying at the foot of a rocky spur close to Mont Ventoux, Nyons is surrounded by hills and small mountains (Essaillon, Garde Grosse, Saint-Jaume and Vaux) and well shielded from the wind. 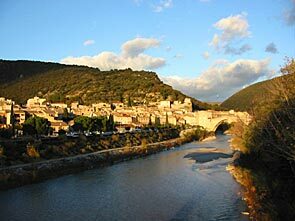 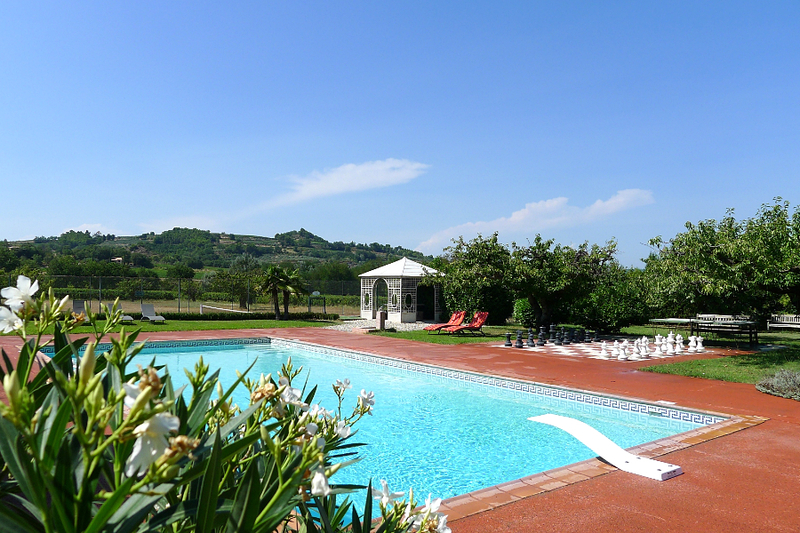 It enjoys exceptional sunshine all year round and is nicknamed 'le Petit Nice' for its superb climate. 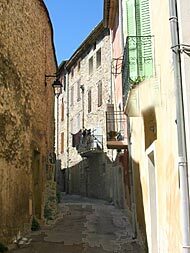 Come and explore the old medieval part of town and the Quartier des Forts with its old, winding streets, the Tour Randonne, the bourg, with its listed Romanesque bridge and its striking arch which spans 43 metres, and the nearby lavender and olive tree roads. 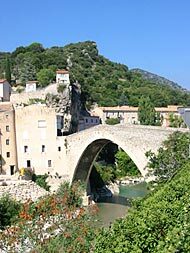 What to see and visit: Romanesque bridge over the River Eygues, the Quartier des Forts (thirteenth and fourteenth century); the fourteenth-century Palais Delphinal; the Église Saint-Vincent-et-Saint-Cézaire – rebuilt in 1614, it features a Gothic fortified steeple that dates back to 1352 and was restored during the eighteenth century; a wrought iron campanile (1785), lateral chapels from 1705; sixteenth and seventeenth-century paintings, the neo-Gothic Chapelle Notre-Dame-de-Bon-Secours, built in the Tour Randonne in 1863; Archaeological museum; Olive tree museum; Motorbike museum; eighteenth and nineteenth-century olive oil mills; the Scourtinerie (the last remaining manufacturing unit in France where coconut fibres are processed into mats). 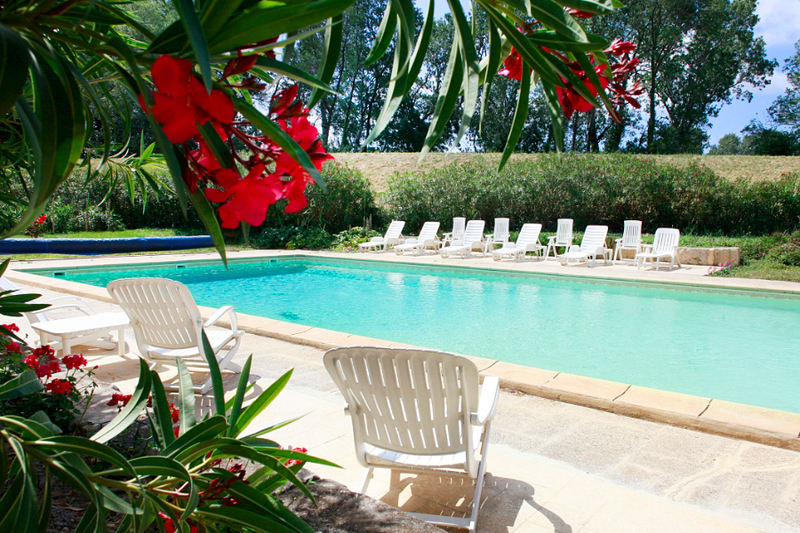 Recommended activities: hikes and walks, with over 400 km of routes and paths, mountain bike and cycling routes (with eight routes to Aubres, Montaulieu and Venterol), horse riding routes (2500 km marked routes throughout the whole département), water park in Nyons, paragliding and hang-gliding.